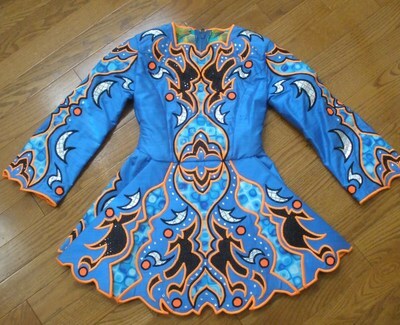 Beautiful blue dress with neon orange trim and black and silver sequins accents that really makes it stand out. Full back zipper makes it easy to get on and off. 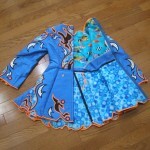 Dress is in excellent condition and comes from a smoke-free home. 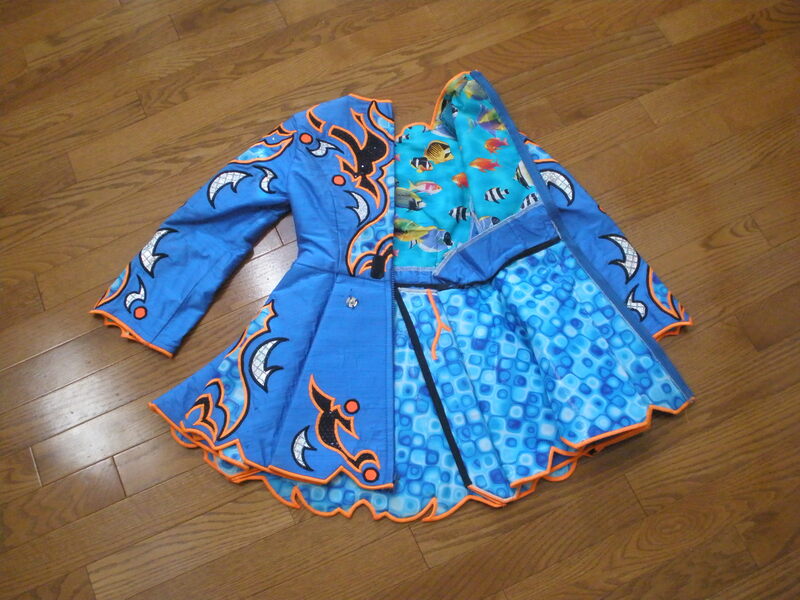 Includes bloomers, 2 headbands, orange earrings and an orange tutu. Asking Price: $US325. Shipping costs are included for my own country, overseas shipping is extra. Returns are negotiable.